OK, who’s excited? I am!!!!! As I mentioned a few days ago, I’m still totally into Crackle, but I’m so borrrred with the current color selection. 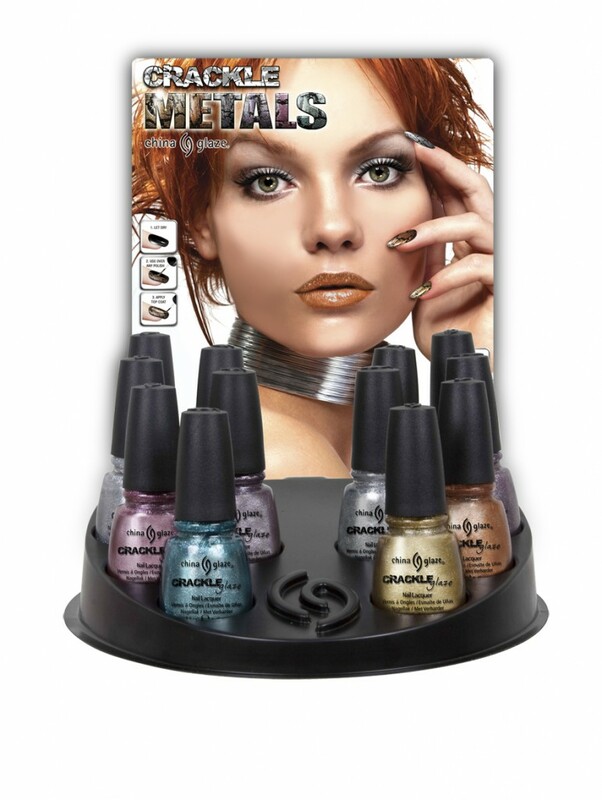 Create dramatically different looks with just one sweep of China Glaze Crackle Glaze Metals. Layer over different base colors to create bold styles. Use a lighter coat to create a fine crackle, a thicker coat for a deep shatter effect. As versatile and edgy as China Glaze’s biggest celebrity fans (Lady Gaga, Rihanna, Nicole Ritchie and Kelly Osbourne, to name a few), Glaze Crackle Glaze Metals is sure to be this summer’s hottest beauty trend! The China Glaze Crackle Glaze Metals collection will be available as open stock colors and 12 piece counter display with a unique Crackle Glaze screen and including an instructional hang tag.